Silver River is extremely healthy. He has not had any tremors, seizures, weakness in the legs or feet, limping, panosteitis symptoms, issues with her eyes or ears, excessive scratching or other allergy symptoms, etc. He runs, jumps, lopes, lies down, etc without any difficulty. He has never showed signs of pain or any symptoms of illness at any time. He is extremely healthy and vibrant. 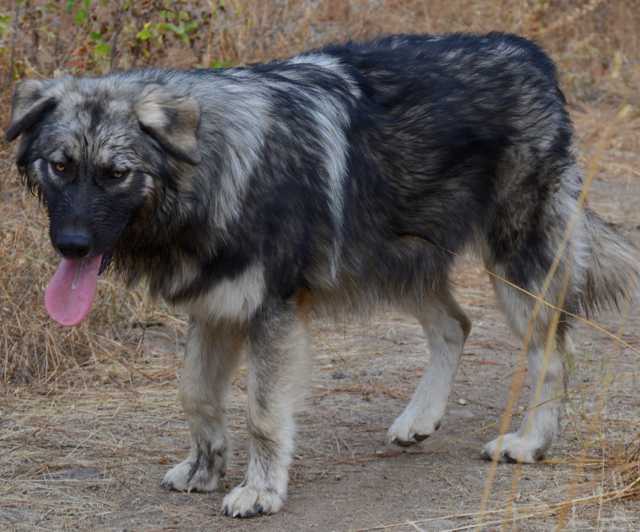 Silver River has a nearly perfect temperament according to our American Alsatian dog temperament standards. He is extremely intelligent and actively seeks to communicate with humans. Silver River is intuitive and watches humans constantly. He attends to his people and responds to their emotions. He is balanced, neither too submissive nor too dominant. He is adequately confident. He is easy to correct and understands even subtle verbal cues. Silver River learns new tasks with ease, needing only one or two trials to be proficient. Silver River is extremely affectionate and loving. He loves to snuggle and hug. He is a calm dog with only a very slight increase in energy from the standards. Silver River is very bonded with his people and looks to them for direction. Silver River is more on the oblivious side of things and although he is highly watchful of his people, he is not as attuned to things going on in his environment. He does not know what is going on around him, especially at a good distance away. Silver River plays some with toys, but is not prey or play oriented. He is motivated by the knowledge that he is doing what is expected and wanted. Silver River is a hard dog and requires, almost demans, harsher touch. Silver River is not afraid of loud, sudden noises, thunder, or gun shots. Silver River has a high pain threshold and it takes a lot of pain for him to cry out. Silver River is quiet. 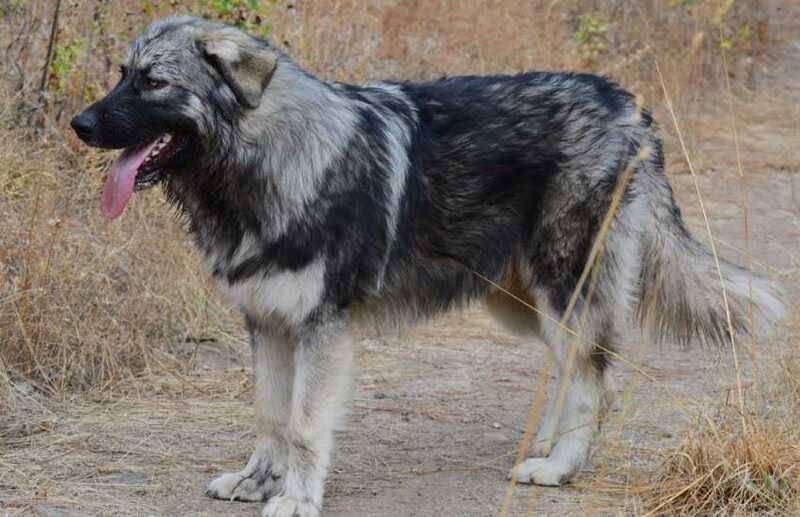 Silver River is a silver wolf gray color with a black mask and yellow eyes. He has excellent conformation. He shows a straight back with a gentle slope to his rear and a medium tail length. He shows high shoulders and a short neck. Silver River is perfectly balanced and seems to glide across the ground when he trots. Silver River's ears are beginning to rise at the base. Silver River has thick legs and large feet. He shows more residual white spotting on his paws, under the chin and a bit on his neck than is wanted in the breed. Ailver River does not show any faults in health. Silver River's does not have any fault's in temperament. Silver River has too much white spotting, too thick of an undercoat, and longer overall coat length than we want.